Although we usually recommend to those just starting out in search advertising to begin with Google’s Search Network, there is an opportunity for all advertisers to expand their marketing reach and efforts to Google’s Display Network. Display ads lead the way in driving aided brand awareness and purchase intent. Display ads allow marketers and agencies to bring their ideas and brands to life through greater user interaction and response. Research shows that 96% of people notice rich media ads on millions of Google partner websites. In the last year, display ad impressions have grown by 66%. 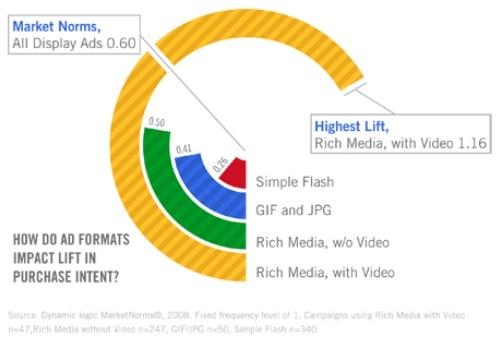 Finalize Ad Format: Depending on the product and the intended purchaser, advertisers should choose the most appropriate ad format, such as video or image ads. Creative Campaigns: Successful campaigns start with creative ads. Create ads with keywords that are focused on a single narrow-key theme that include a clear call-to-action. Use Google’s display ad builder to set up ads in minutes. Budget: Based on your daily spend limit, adjust your budget accordingly and monitor it over time. Measure Your Results: Once campaigns are running, pay attention to which campaigns are performing well and which are not. Set up Google conversion optimizer to track performance of your display ads. Use some of the reports available such as the performance report, demographic report, reach and frequency report, and campaign insights to better understand the performance of your display ads and make necessary adjustments. Use Site Exclusion to filter out websites where your ad is not performing well. 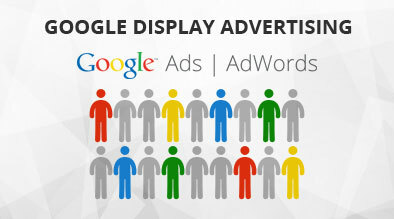 Google Display Network is a great tool for search marketers looking to increase their marketing reach. While this can be a wonderful tool, it does require ongoing maintenance and advertisers should follow the previous 5 best practices for the optimal results.